Rain can be daily occurrence although it doesn’t usually last long and can be a fantastic photography opportunity. Our beloved “Garden Isle” would not be the lush and tropical island we know, were it not for it’s heavy rainfall. 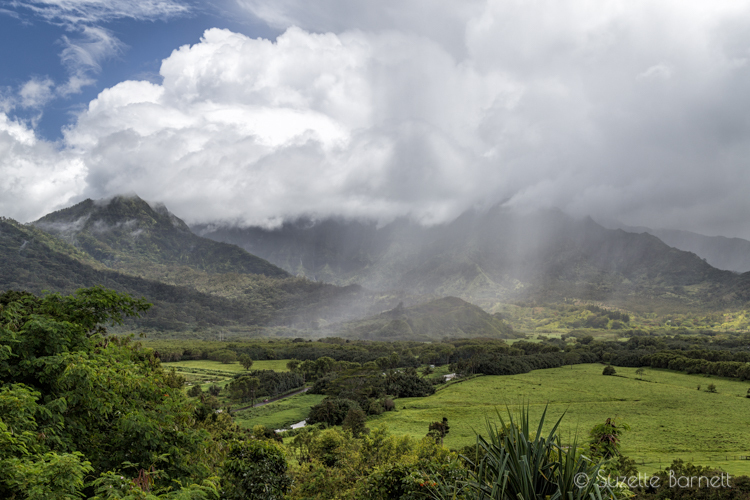 The north shore of Kauai sees an average of 250 inches of rain per year which is over half of the recorded annual rainfall in the wettest place on earth (Mawsynram, India which sees 467 inches of rainfall per year). 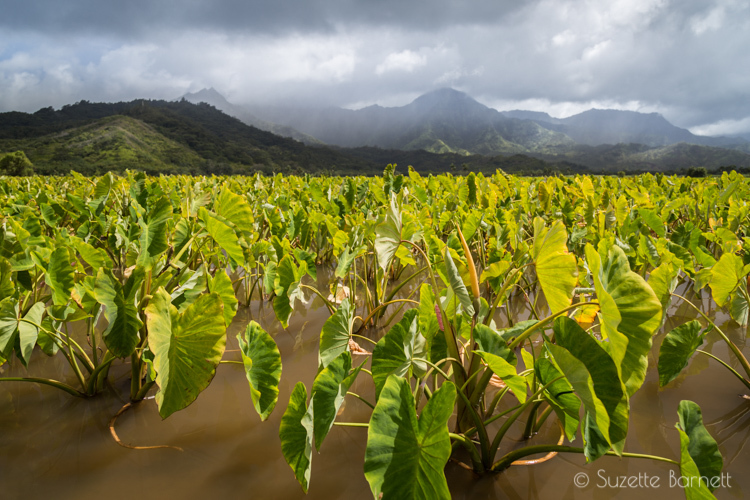 On a recent visit to Kauai I joined a small group with Kauai Photo Tours that began in the east at Kapa’a and continued toward the north, beyond Hanalei. The tour took us to spots that are off the beaten path by someone knowledgeable in both the scenery and photography. I recommend the tour regardless of your skill level, but keep in mind this is not a photography workshop; you’ll visit 10 to 12 locations in 5 hours. That’s fast! As rain passed through I was able to capture dramatic clouds in many of my shots. I also learned of places I can re-visit including quiet beach coves, a beautiful seabird lookout, and a place to do some ultra-safe cliff jumping. 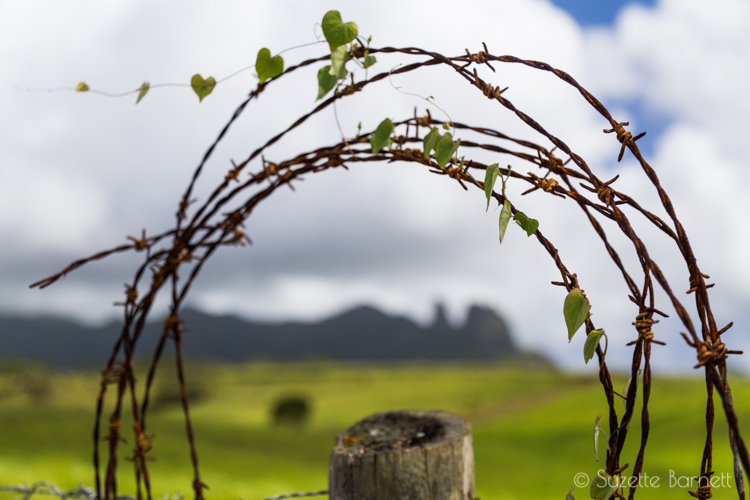 Below are some of my shots inspired by the Hanalei skies. Thank you for visiting! 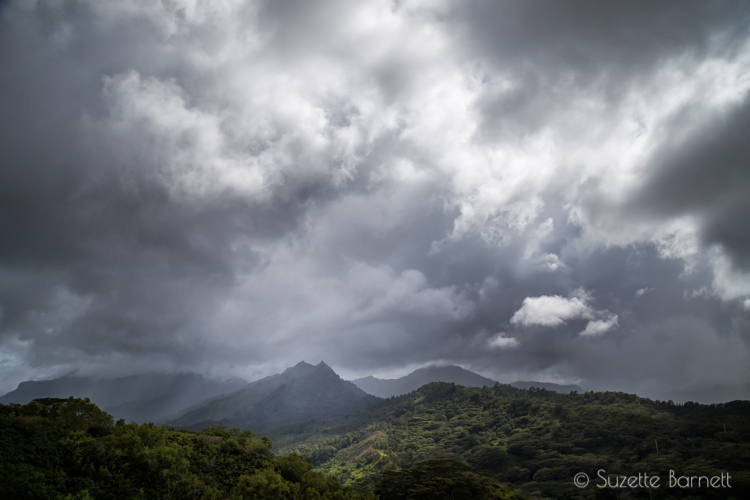 Brooding skies, just moments before overtaking the taro fields of Hanalei Valley. 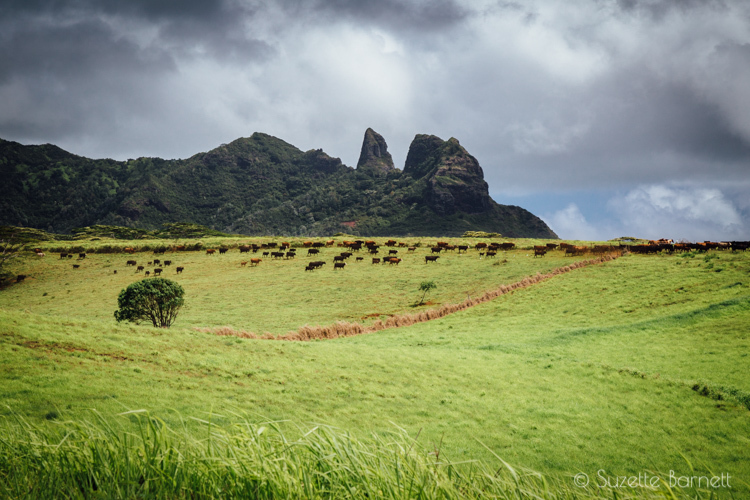 Cattle are herded by a local farmer at one of Kauai’s hundred or so ranches. All of the island’s cattle are 100% grass-fed. Anyone would be lucky to spend their days on this farm land. 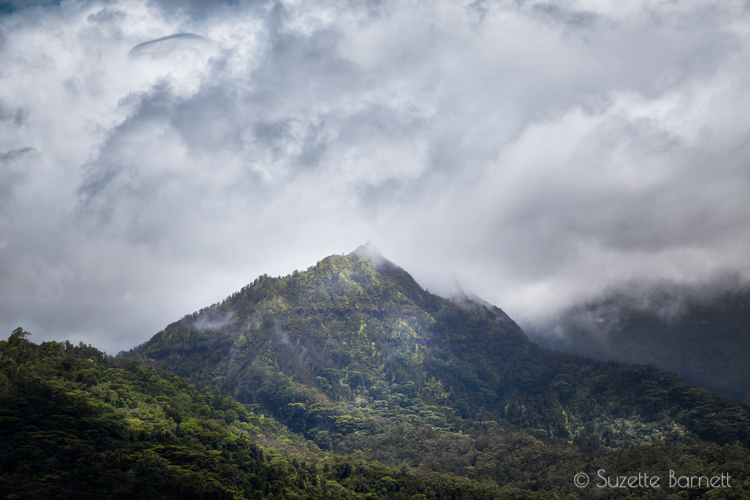 I can’t get enough of the captivating clouds at Hanalei’s peak. They are so mysterious and they change every second. 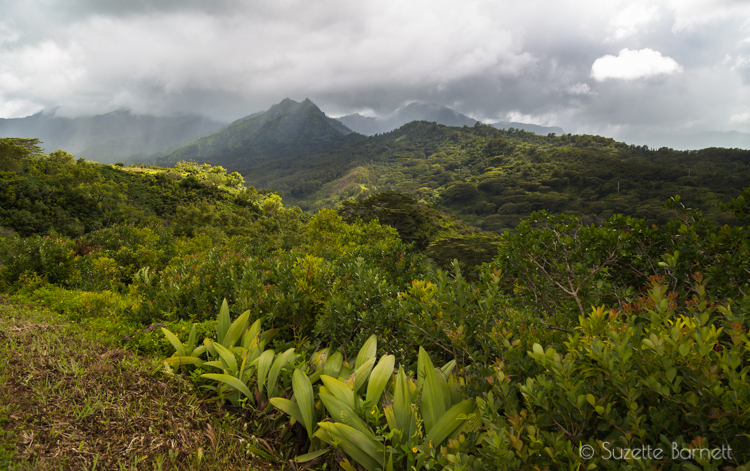 Lush mountains abound in the Hanalei Valley, this being a glimpse of why just 10% of the island is accessible by roads. As rain pours down, tourist beach goers will usually pack up but the locals may wait it out. 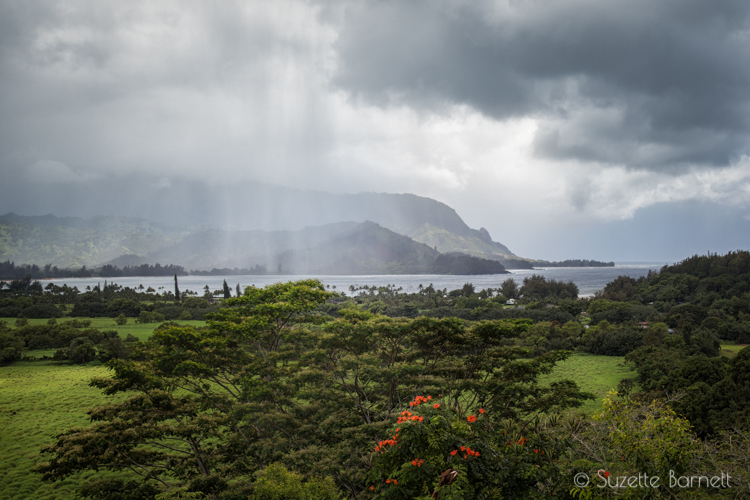 Proof that rain showers don’t usually last long… sunshine is just seconds away.